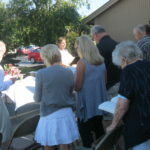 OUTDOOR WORSHIP AND ICE CREAM SOCIAL, 2018: We celebrated Back to Sunday School with an outdoor worship and ice cream social on September 16. 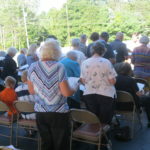 Pastor Hadler, on guitar, and Susan Thompson, on keyboard accompanied our hymns on a very pleasant Sunday morning. 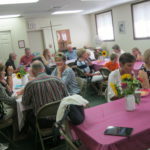 We followed the service with a delicious Ice Cream Social. Our Sunday morning schedule is as follows: Worship at 9:30 am, Fellowship at 10:30 am and Sunday School from 11 am to 12 noon. All are welcome to join us! 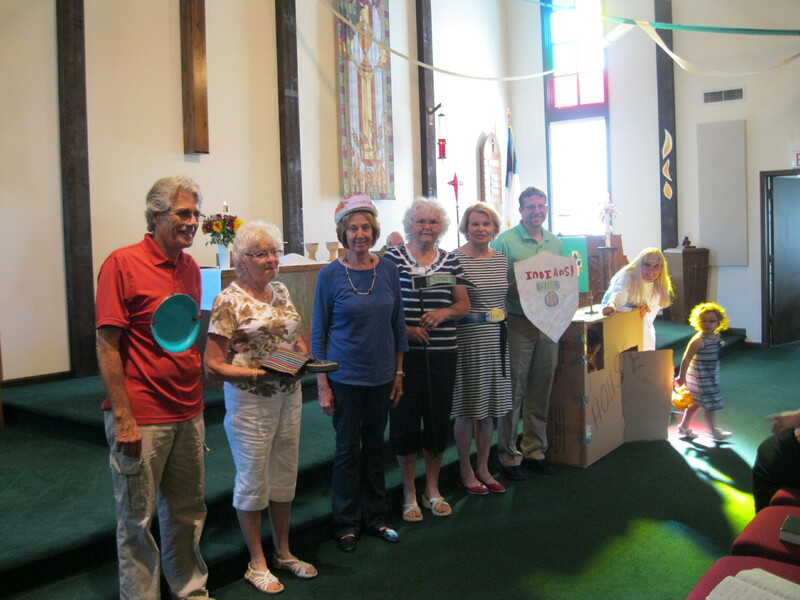 BACK TO SUNDAY SCHOOL RALLY DAY BURGER BASH, 2017: We invited our congregation and neighbors to a picnic under our tent on Sunday, September 17. We served hamburgers with sides and desserts. Invitations were hand delivered in the area. 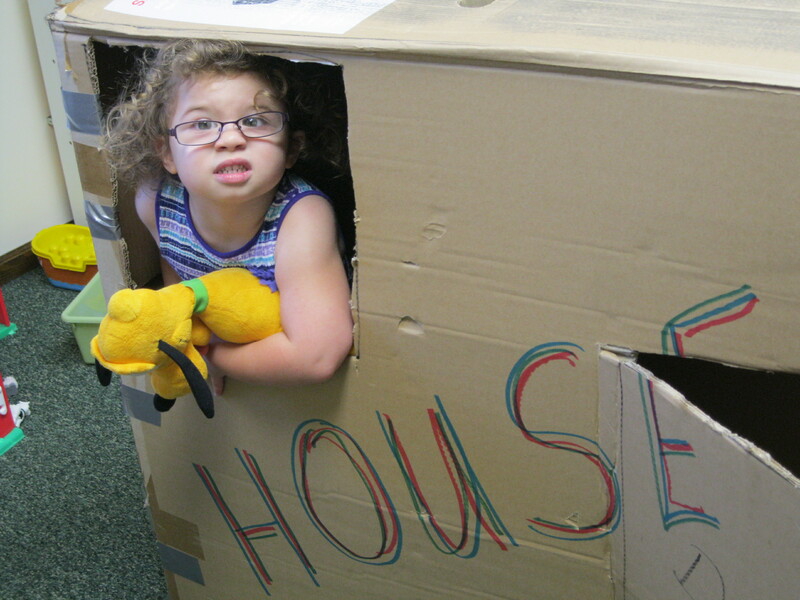 CHILDREN’S SERMONS: Every Sunday Pastor John or Peggy Tampson brings us a wonderful children’s sermon, whether there are any children attending or not. Those of us in our second childhood enjoy these “Children’s Sermons” and we learn a lot. Below you will see Addison enjoying a visit to “God’s House” on the special day that she turned 3!! Below you will find a group of us lined up to illustrate Ephesions Chapter 6. We are definitely an “interactive” congregation. Be strong in the Lord and in the strength of His power. Put on the whole armor of God so that you may be able to withstand on that evil day, having done everything to stand firm. Stand therefore and fasten the belt of truth around your waist and put on the breastplate of righteousness. As shoes for your feet put on whatever will make you ready to proclaim the gospel of peace.Take the shield of faith with which you will be able to quench all the flaming arrows of the evil one. Take the helmet of salvation and the sword of the Spirit which is the word of God.